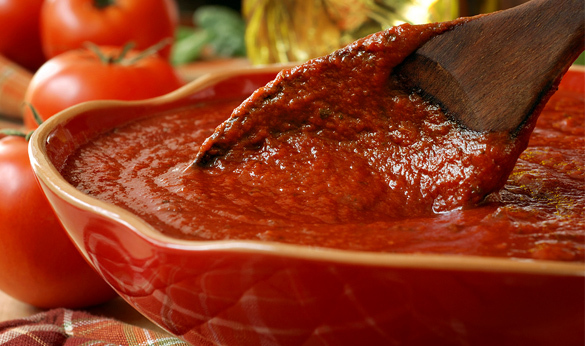 Blog > How To > No More Store-Bought Sauce: A Fresh Marinara How-To Video! 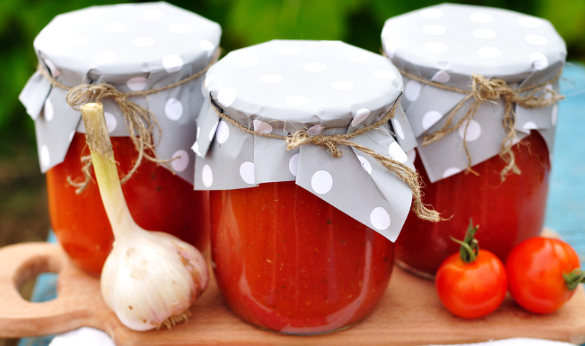 No More Store-Bought Sauce: A Fresh Marinara How-To Video! Marinara sauce…I personally use it the most for garlic bread dunking and pasta but people have been known to eat it on many other dishes as well. When it comes down to making pasta or pizza for dinner, most of the people I know end up cracking open a jar of mystery tomato sauce. I’m totally ok with that every now and again but think about it – how many preservatives and natural flavors are in that sauce you’re eating? With that said, my wonderful co-worker Cynthia has a fabulous organic garden. I’ve always heard it can be difficult successfully growing organic but she’s totally got the magic touch; everything that comes out of that garden looks delicious! She was nice enough to bring me a few gorgeous home grown tomatoes, thus inspiring this blog…and my dinner. Recipe courtesy of fashionablyfoodie.blogspot.com. Mmm, delicious! Mucho TY Rachelle! You can really taste the freshness of this sauce. It’s got a bright tomato flavor that you just don’t get with the jarred stuff. It was the perfect marinara for the dinner that accompanied it – ground pork meat balls (sautéed in my Mauviel M’Stone pan) over angel hair pasta. Enjoy! A University of Tennessee graduate with a degree in advertising, she coordinates KaTom’s marketing efforts. When she’s not doing that, she can typically be found sharing a meal with friends, cruising Knoxville’s craft beer joints, or floating down one of East Tennessee’s numerous rivers. Her life’s goal is to visit every U.S. national park.